This marks the second performance I've seen from the True Focus Theater. I adored their previous show and now looked forward to something a bit different. 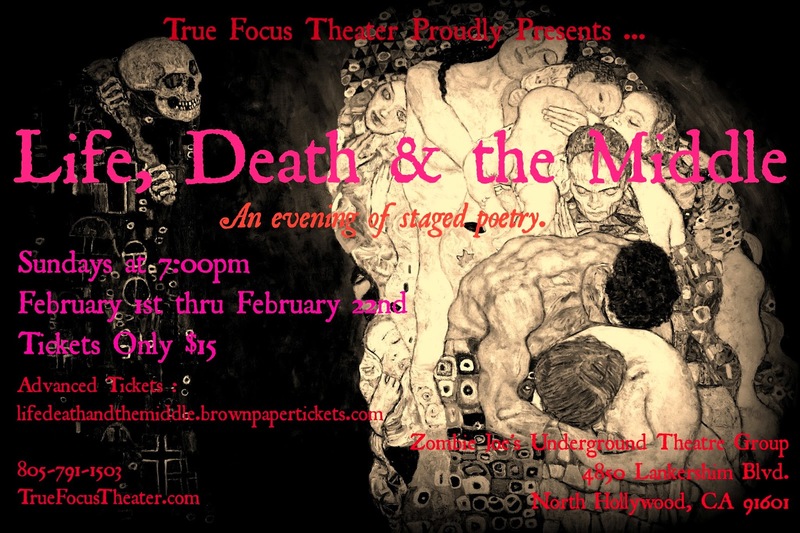 Life, Death & the Middle was billed as "An Evening of Staged Poetry." In my experience, a problematical idea. Hardly an impossible one, but...tricky. change of tone from the brilliant extremes he as a performer does so well). Walters (with, let it be said, a delightful cameo from Hyde and Doyle). So the hour-long show continued--one somewhat startling rendition of poetry after another. 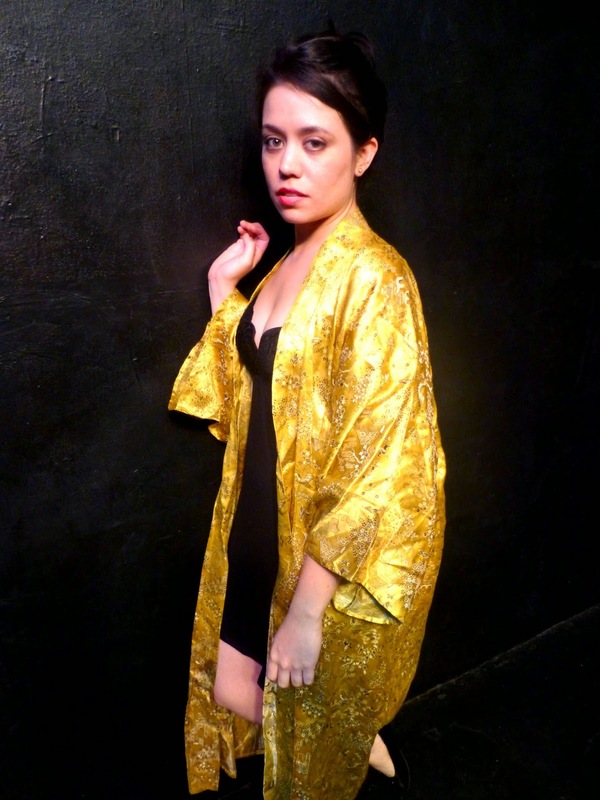 Hyde did Angie Hoover's "Never Have I Ever" in a touching enactment of the central image. James Han spoke Mark Hein's simple "Mortal Tenderness (or, River's End)" with other members of the ensemble becoming a kind of scenery, or shadow. Just as Mariana Goulart did Salas' "Basket (A Poem About Eggs)" with a single interaction from one other cast member. feeling, realization, comment, pleas, remembrance and questions. Better, far better, to see the show yourself and see these works brought to life than for me to seek to describe each one somehow. I simply note my own pleasure at the entire ensemble, with hints and teases about what I liked--from Reilly Loaya's use of prop while reciting "More Than Seven Questions To Ask the Boy on Fire when Holding a Pail of Water" by Kelly Grace Thomas, or the vivid simplicity of Lauren Peterson joined by Hyde and Han in "Forever Their" by Danny Pierce. Precisely how did the show impact me? Rather than analyzing each one, let me share this. At the end, I was shocked. An hour, was my first thought. Really? Have I really been sitting here an hour? Because on some fundamental level I just didn't feel it had been that long. Which makes for about as much praise as I can offer, honestly.